My husband and I stood in stood in shock and disbelief staring at the crimson sign taped on our front door that read “Condemned” and the yellow “Do Not Trespass” tape that surrounded our home. The scene panicked our hearts and shattered our spirit. What in the world were we to do? We were stuck, stunned, and the axis of the world we knew would never be the same. In the summer of 2011, a natural disaster happened in the backyard of our home. A huge landslide removed our entire backyard, decks, and was creeping closer and closer to the foundation of our home. It was a scene from a horror movie. You need to understand something…landslides do not typically happen in Virginia. Dazed and frazzled we didn’t know what to do. The insurance company didn’t cover a penny. Not one cent. Who is responsible? Who is going to foot the bill of over $500,000 to fix the property? It was a process. It was hard. We had to fight the local and state government and the community at times. We had no idea it was going to be a long, two-year battle. But God did, and He was ever so present. Early on, our family knew we needed to focus on God & His Word and allow Him to lead. We also knew we needed to lean on our Christian friends and church. Because our focus was on God and looking for His lead, the comfort of joy started to bubble up within us and the process of healing hearts began. His truth and joy sprung up and out and showered all who witnessed the stand of Truth. Intertwined in the disaster of the unknowns, joy kept us marching on the path God laid out for us. Joy shifted our thought process. Instead of waking up defeated. We woke up in joy-expectation of the victory from God shown each day. Joy reminded us we were not walking alone in the tremendously hard times of life. Joy pushed away negativity and poured over His presence. 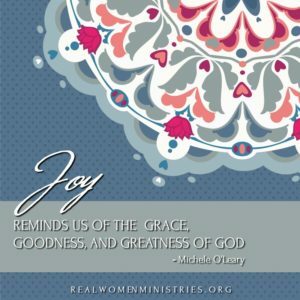 Joy helped us remember the grace, goodness, and greatness of God. Joy helped us shine Jesus-Truth in our town, state, and the country when interviewed by reporters or when people would pepper us with questions when we were out and about. This type of joy isn’t because of us but despite of us. Removing self-desires presented God’s miraculous miracles. Grace was our foundation because of the joy we knew only came from our Maker. Truth-Joy only comes from the Truth-Maker. Jesus. Joy is not a temporary emotion; it is everlasting if we allow it. Since the summer of 2011, we have faced many trials, heartaches, and disappointments. We also have celebrated marvelous moments of life, too. In each path, Jesus-Joy has stirred our hearts and helped us stay focused on the importance of life. I must admit, the event changed our vision of life forever. It left a joy-marker in our hearts to always remind us that real peace comes from the joy of Jesus. After the long battle, we did sell the house after the complete repair of the land. God’s grace covered each moment in His way and timing. Do we still grieve the loss of our home? Yes, of course we do. Folks, even to this day, ask us about the landslide and what happened. Sadness still pokes our hearts; however, the spring of joy flows out and we thank the Lord for His goodness. Dear Heavenly Father, we thank you for your support, grace, presence, and guidance in our everyday walk and journey through life. Please remind us that joy is available daily and it only comes from you. We know you understand our hearts, hurts, and desires. Thank you, Jesus, for loving us unconditionally. We love you deeply. Amen. 1) In what ways do our plans and desires threaten to steal our joy? How might going to bed with gratitude help you to wake up expecting joy? Try it tonight. As you slip into bed, thank God for the blessings of this day and ask Him to infuse you with His joy for tomorrow. Michele suggests that we can block our own joy? How do you think this is possible? Is there an area of your life where this might be happening? What can you do to put an end to the joy blockade? 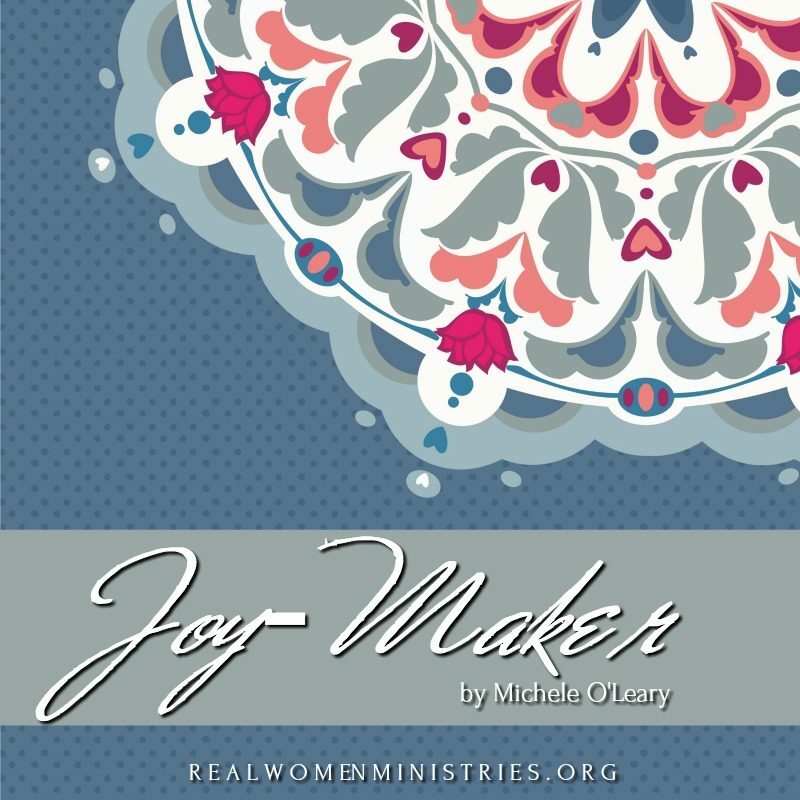 Michele’s call from God is to encourage women to seek, walk, and find their purpose in Christ. 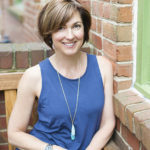 She is a Christian blogger and facilitates two small groups at her church. She is also a volunteer for Suzie Eller’s Living Free Together Ministry, as the CARE Team Leader. Michele lives in Fredericksburg, VA, with her husband Dan. They have two adult children Fallon and Tim, and two precious grand girls, Isla and Lili. You can find more information about Michele and her ministry on her website at www.casualconversations.net.